Finnish flag carrier Finnair is increasing the frequency of flights between Helsinki and St. Petersburg from 20 to 114 per week in the hope to capture more transit traffic from Russia. The airline is also expanding capacity by 39%. The new flights are operated by Finnair’s regional subsidiary Nordic Regional Airlines (Norra) with ATR 72 turboprops. 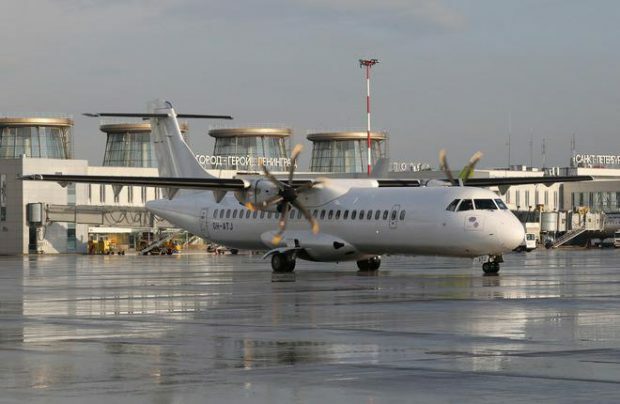 Finnair’s regional vice-president Frederik Charpentier says the airline hopes transit passengers from St. Petersburg will continue their travel on connection flights from Helsinki to destinations in Europe, North America, and Asia. The convenient early morning departures and late evening arrivals are expected to attract business travelers. The carrier also hopes St. Petersburg’s tourist potential will attract additional transit traffic from China, Japan, and the U.S.
North Capital Gateway, the operator of St. Petersburg’s Pulkovo airport, says Finnair carried 71,500 passengers through the airport in 2016, up 10% year-on-yearon the previous year traffic. In Q1 2017, 14,800 passengers traveled with Finnair between Helsinki and St. Petersburg. The airline is one of the top-five foreign airlines by the number of aircraft movements at Pulkovo. The most popular destinations from Pulkovo via Helsinki are Prague, Paris, Budapest, Munich, as well as long-haul flights to Bangkok, Singapore, New York, and cities in Japan, Finnair’s official representative in Russia Maria Anufrieva told Russian Aviation Insider. Other Russian destinations in the airline’s route network are Kazan, Samara, and Yekaterinburg. It also operates flights to Moscow in conjunction with code-sharing partner Aeroflot. Although the Finnish carrier is a member of Oneworld alliance, just as Russia’s S7 Airlines is, it has no cooperation plans for S7. There are no synergies in the two airlines’ route networks, and no interline agreements are planned at the moment, Anufrieva says. Besides, S7’s Moscow base is Domodedovo. whereas Finnair flies to Sheremetyevo. Nevertheless, the Finnish carrier continues to consider different options for expanding its Russian routes.